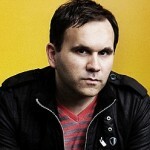 Matt Redman is married to Beth and they have five children; Maisey, Noah, Rocco, Jackson and Levi. 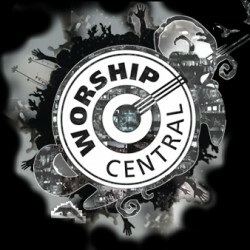 Based in Atlanta they are part of 'Passion City Church' with pastors Louie and Shelley Giglio. This is the third church plant Matt has been involved with, having previously been on the team for Soul Survivor,Watford, and The Point in the UK. Says Matt, We've been part of the Passion team for several years now and have really enjoyed journeying with Louie, Shelley, Chris and all the guys. We've had some global adventures together and are now on a local one together, with Passion City Church. Matt has been leading worship full-time since the age of 20 and this journey has taken him to countries such as South Africa, Japan, India, Australia, Germany, Uganda, Croatia and the Czech Republic. His early compositions include 'The Heart of Worship', 'Better is One Day' and 'Once Again'. More recent songs have included 'Blessed Be Your Name' and 'You Never Let Go' - both written with wife Beth and encouraging us to worship God through the storms of life. As Matt explains, Blessed Be Your name is a declaration of something which we've both found to true in the tough seasons of life that to worship God and trust Him no matter what will always be the best path to take. The song 'You Never Let Go' takes up the same theme - it starts off with some thoughts from Psalm 23 and reminds us that no matter what we come across in life, there is a God who is in control, closer than we could ever know, and holding us. Most recently Matt has written songs such as 'You alone can rescue' and 'How Great is Your faithfulness' with regular co-writer Jonas Myrin, plus the song 'Our God' written with Myrin, Chris Tomlin and Jesse Reeves, which appears on the latest Passion worship record. Matt is also the author of three books which all centre around the theme of worship. 'The Unquenchable Worshipper' unpacks what a healthy heart of worship might look like, and how that translates into the lives we lead. 'Facedown' explores how we can paint a big picture of God through our songs and actions. The third book, 'Blessed Be Your Name', co-authored with Beth, is an encouragement to trust in the sovereignty and goodness of God, even when to do so seems costly. Matt has also compiled two other books 'The Heart of Worship Files' and 'Inside-Out Worship' - practical worship-leading advice from many experienced leaders around the globe.